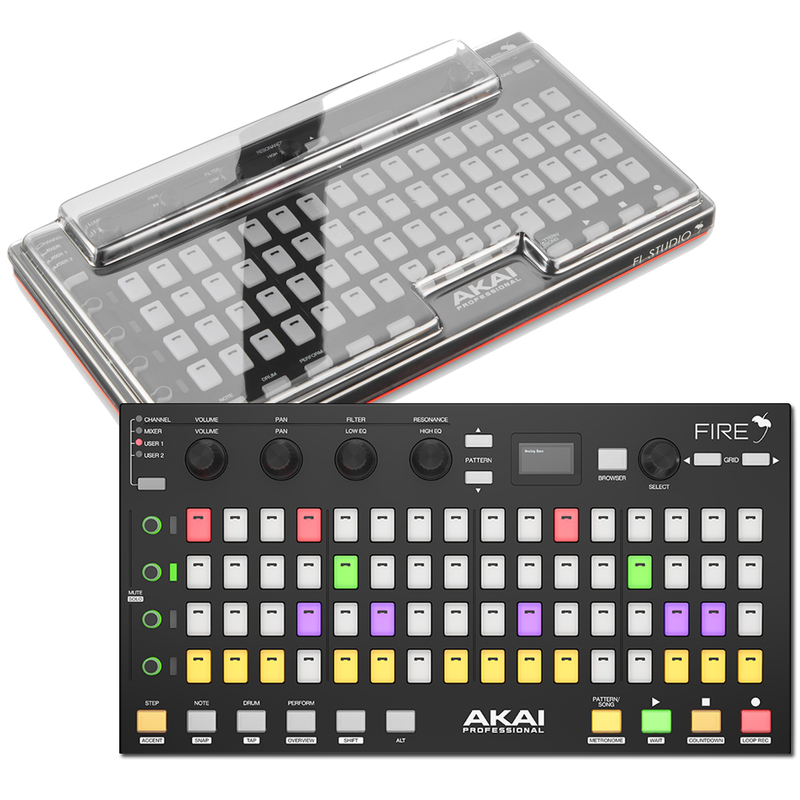 Bundle deal includes Akai Fire & Decksaver. Featuring plug-and-play integration, within seconds you’ll be creating patterns and building tracks using Fire’s 4 x 16 matrix. Instantly navigate the Channel Rack, Browser, Tool Bar and Playlist menus without the click of a mouse. 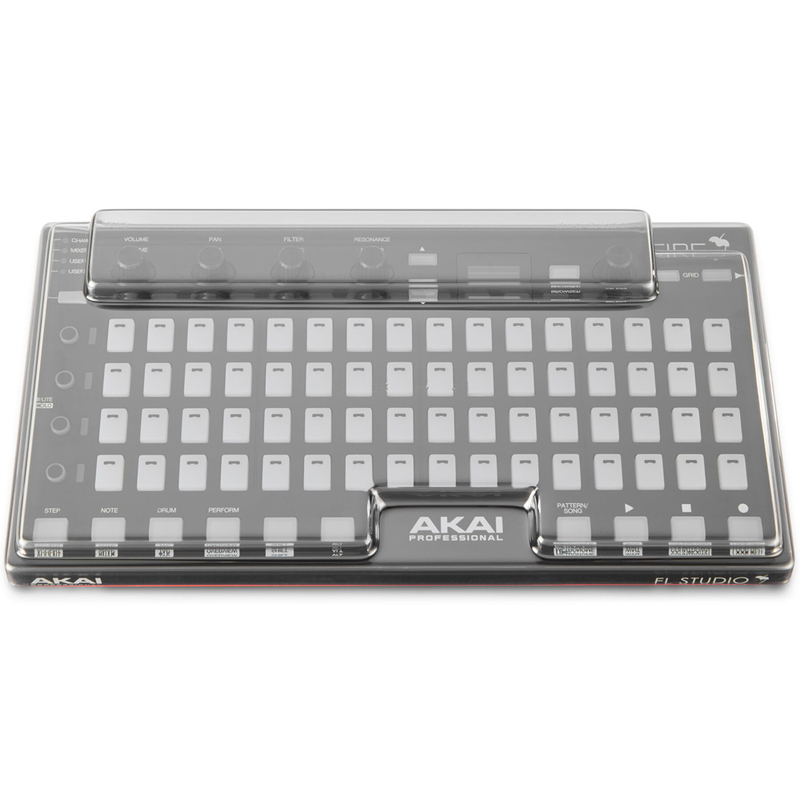 The graphical OLED display makes for easy browsing and tactile control over the various files, menus and parameters within your FL Studio session. And the dedicated transport buttons give you full control of your music. 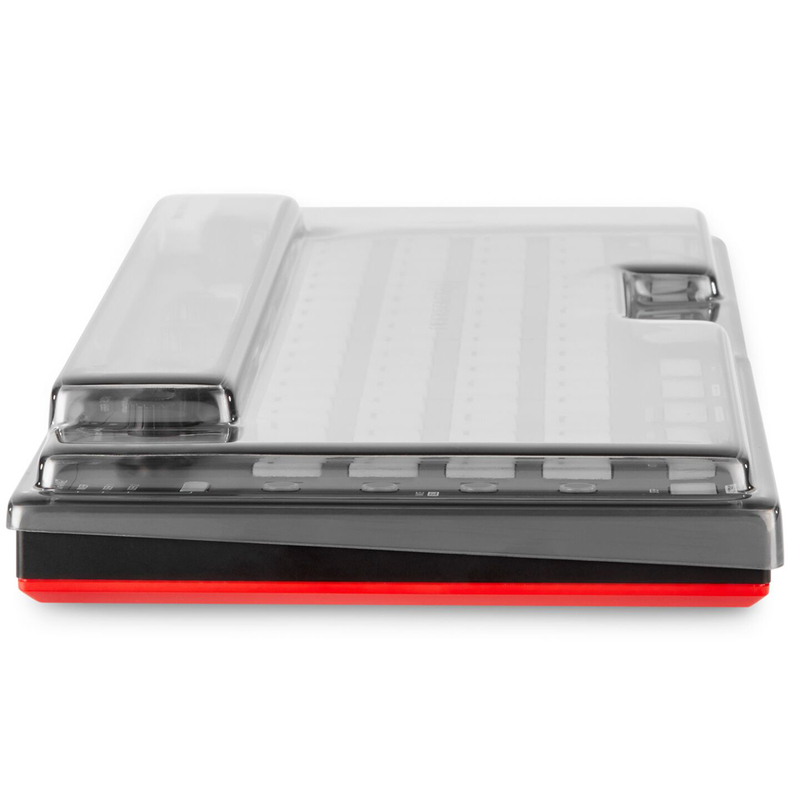 When in Performance mode, Fire deftly blurs the lines between controller and instrument with its ability to play and record notes in time using the velocity-sensitive RGB pads. 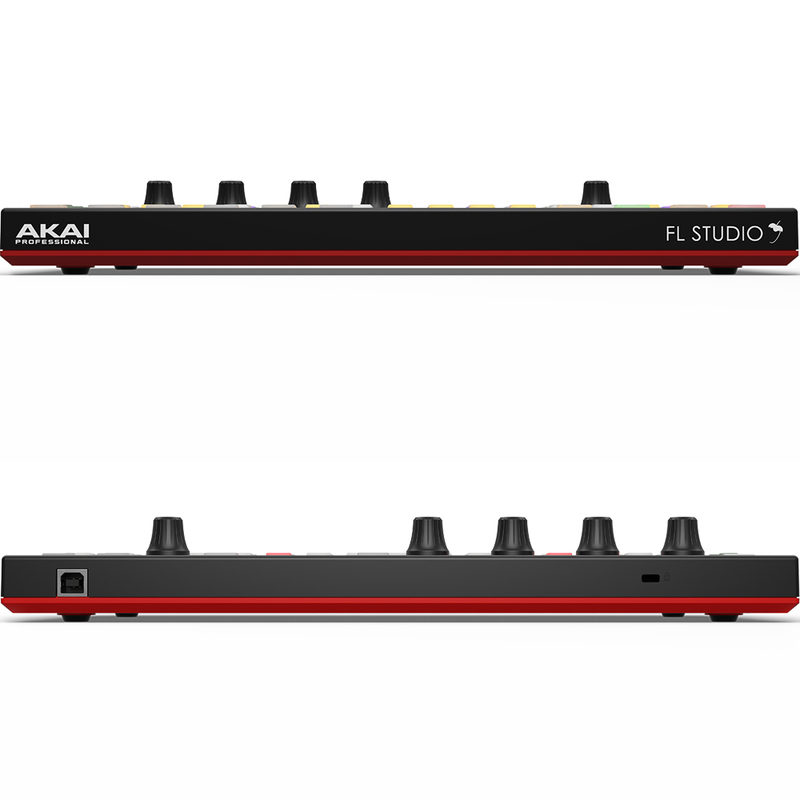 Up to four units can be connected to FL Studio at once, creating an 8 x 32 matrix for the ultimate Fire experience. 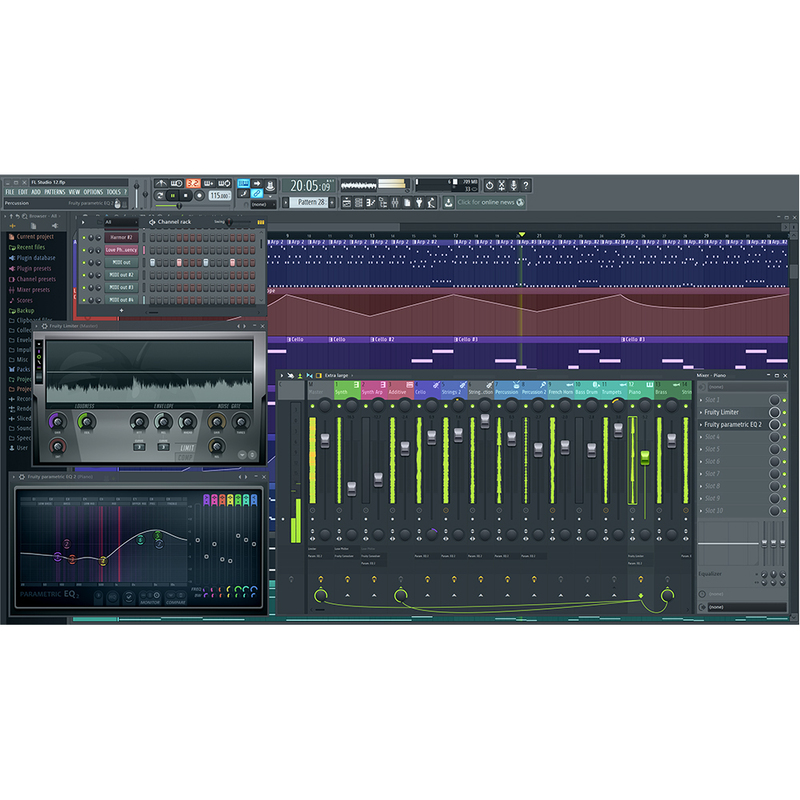 Enter the groundbreaking, high-powered workflow heard all over the charts with the FL Studio Fruity Fire Edition software, included with Fire. FL Studio is a complete software music production environment, the culmination of more than 20 years of innovative development. The software features everything you need in one package to compose, arrange, edit, mix and master professional quality music. 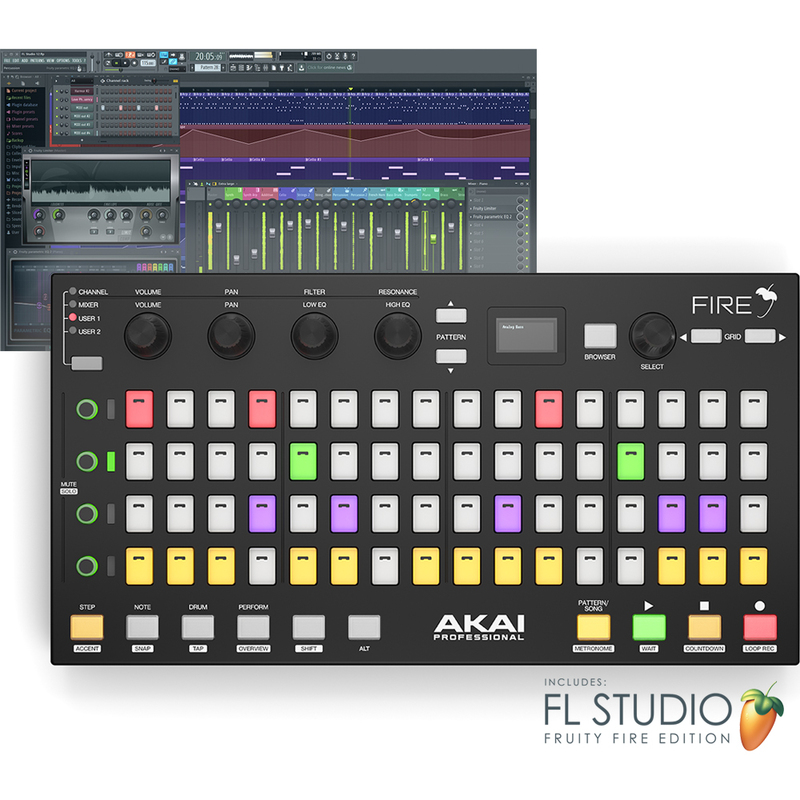 With access to FL Studio’s piano roll editor and step sequencer, up to 500 tracks, VST & DXi instrument support, full automation functionality, plus 18+ virtual instruments and over a dozen built-in effects and processors, FL Studio Fruity Fire Edition provides the ultimate platform to spark that initial idea, ignite your creativity and complete your masterpiece – all in an ultra-intuitive, inspiring environment engineered to keep you tuned in to what’s important, your music. 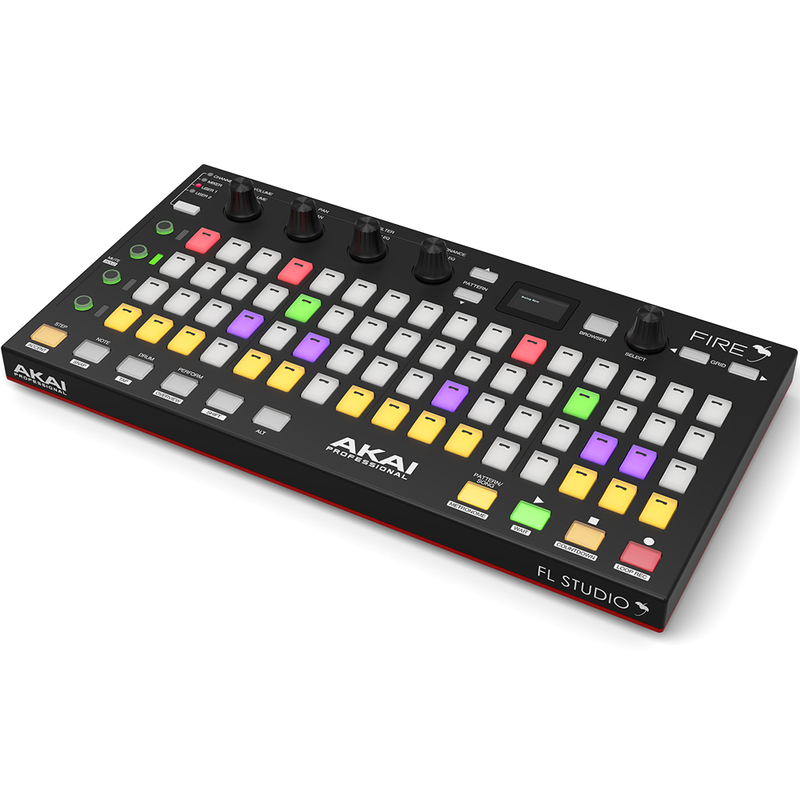 Enter the groundbreaking, high-powered workflow heard all over the charts with FL Studio Fruity Fire Edition, engineered for and included with Akai Fire. FL Studio is a complete software music production environment, the culmination of more than 20 years of innovative development. The bundled Fruity Fire Edition features everything you need in one package to compose, arrange, edit, mix and master professional quality music.